The Solfeggio frequencies constitute the ancient six note scale which is believed to have been used in sacred music, and reputed to be the original frequencies in Gregorian chants. Based on the six pure tonal notes, these spiritual Gregorian chants and their special tones penetrate deep into the conscious and subconscious mind and usually draw strong emotional reactions. These original frequencies appear to have been “lost” over the centuries with the introduction of various new tuning methods. In Western cultures, the ancient system of tuning known as “Just Intonation” has been replaced by the “Twelve-Tone Equal Temperament” around the 16th century. As described in the book “Healing Codes for the Biological Apocalypse” by Dr. Leonard Horowitz, the Solfeggio frequencies were essentially rediscovered in the mid-1970’s by Dr. Joseph Puleo, a physician and one of America’s leading herbalists. Dr. Puleo claimed to have been intuitively guided to examine the Book of Numbers (4th book of the Hebrew Bible and 4th of five books of the Jewish Torah). In Chapter 7 of the Book, between Verses 12 and 83, Dr. Puleo used a Pythagorean method of reducing to the verse numbers and uncovered a pattern of six repeating codes. According to him, it revealed a series of six electromagnetic sound frequencies which corresponded to the six missing tones of the ancient Solfeggio scale: 396 Hz, 417 Hz, 528 Hz, 639 Hz, 741 Hz, 852 Hz. 396 Hz frequency aids in the process of liberating you from the tremendous burden of guilt and fear which often represents one of the basic obstacles to realization. Tone “Ut” thus enables achievement of goals in the most direct way. 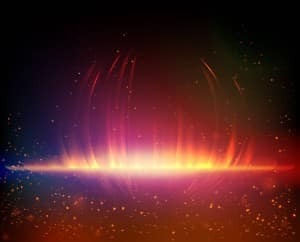 417 Hz frequency allows you to enhance your mind’s ability to undo damaging situations by cleansing traumatic experiences and clear destructive influences of past events, and facilitate conscious and subconscious change to something positive in your life. 528 Hz is the Love frequency. It is quite mysterious, but has shown to facilitate the process of whole-being transformation and even stimulating DNA repair. It is also said to activate your imagination, intention and intuition. The note ‘MI’ on the scale is said to derive from the Latin word “MI-ra gestorum” which means “miracle”. 639 Hz frequency heightens your ability to build deep, meaningful, and harmonious relationships with others. Communication, understanding, tolerance and love are enhanced. It is the social frequency. 741 Hz frequency can open up emotionally closed or blocked individuals, liberating their vital ability to express themselves. Tone ‘Sol” leads into the power of self-expression which results in a pure, stable and healthier life. It can be used at a psychic level to develop intuition and “sixth sense”. 852 Hz frequency helps in raising awareness and has shown results in giving greater access to spiritual experience and transformation. It can be used as means for opening a person up for communication with all-embracing Spirit. 174 Hz 174 Hz appears to be a natural anaesthetic. It appears to reduce pain physically and energetically. 285 Hz 285 Hz influences energy fields, helping tissue to return to its original form. It also leaves your body rejuvenated and energized. 963 Hz 963 Hz awakens any system to its original perfect state. This frequency enables you to experience Oneness – our true nature. 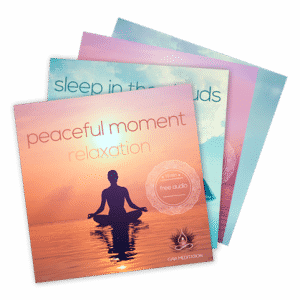 At Gaia Meditation, we have developed a variety of free audio tracks based on the Solfeggio frequencies. 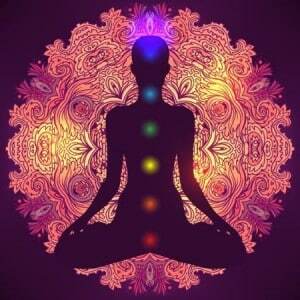 It includes: relaxation music, sleep music, meditation music and plenty other Sound Healing programs.